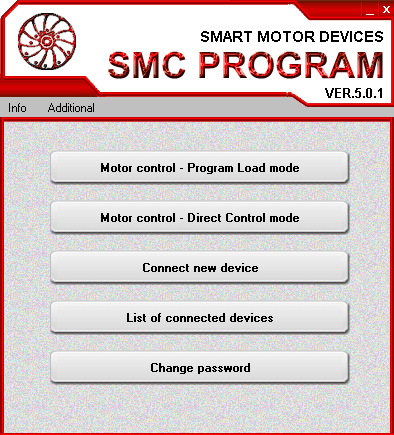 SMSD‑4.2LAN is a new-generation stepmotor controller with advanced communication protocol. It is designed by our engineers for medium size stepper motors, output current is under 4.2A per motor's phase. The most useful advantage of the controller - remote control and Ethernet connection and control of a stepper motor using a local network. USB connection is also provided. Another useful characteristic of the controller - it provides special voltage control mode for a range of great requested motor models. This control mode provides singularly smooth motion and accurate microstepping ratio up to 1/128.. Program mode - SMSD‑4.2LAN provides 4 independed memory area for storage of an executing programs. Control commands are assembled into a control sequences, saved into the controller's memory and can be called later during a standalone operation or from a computer. This mode is widely used for cycle and repetitive actions. The motion algorithmes are recorded to the controller from a PC using a local network Ethernet or USB connection. Afterwards every of 4 programs can be executed as per input signal or as per a command from a PC. Please, refer to the user manual and communication protocol for a full list of executing commands. Special software for program assembling and downloading to the controller is provided by our company for free. 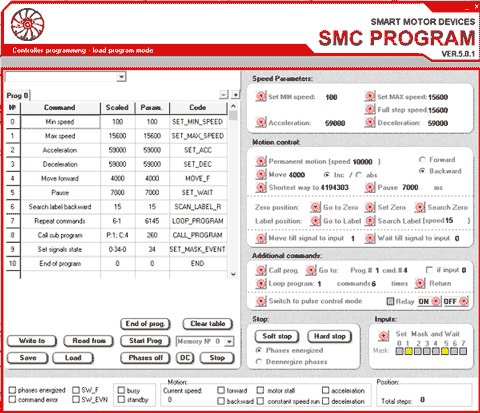 It is possible to use open communication protocol or ready software for stepmotor controllers`SMSD‑4.2LAN. 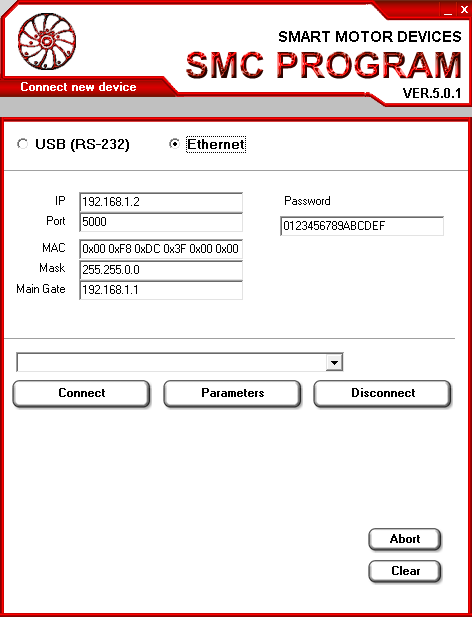 The software SMC-Program Ver.5 provides connection and control of few devices connected via Ethernet or USB interface.